Masonic hall classical style with tower. Five stories, built on an irregular hollow pentagon design. Within is a memorial window and a shrine. Building includes lodge room, grand temple, library and museum. 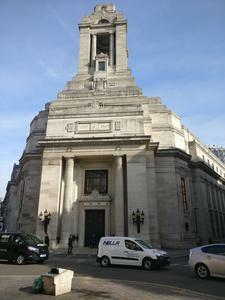 THIRD MASONIC HALL TO BE ON THIS SITE. GRADE II LISTED.